Kate here from Kate's Creative Corner sharing a Valentine Treat for you. I used the 1 x 8 Clear Bags, Simple Sayings Valentine's Day Edition and Snowman Poop for the From. Please contact admin@jadedblossom.com for your information. 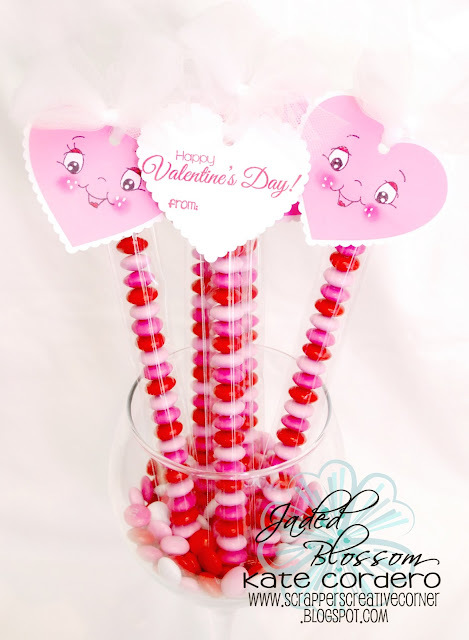 Don't forget to join our Monthly Challenge this month is "Valentine Theme"
These are so adorable Kate!!!! Such a fun Valentine's Day Treat!!! TFS and congrats to the winners!! just sent info thanks so excited! I love hopping this is so fun! I just love these so much. Too cute! These are super cute!! Congratulations to the winners!! Kate, your treats are super cute! Congrats to the winners!